We are looking for the person, who really likes sweets. Are you one of them? 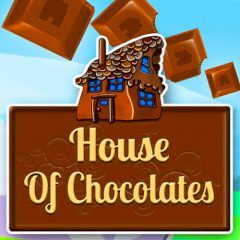 In this puzzle game you have to match three or more same candies. Pay attention to the bottle of milk. Make it empty, if it is required. Have much fun here! Do you like chocolate? If yes, this game is yours! Play this funny puzzle game and enjoy the time while playing. Your main task is to touch to make matches of three or more of the same kind. A successful match will color the underlying tiles golden. Fill the entire grid with golden tiles to complete the level. The milk bottle will fill up as you make matches. Touch the bottle when it is full, and you can slide an entire row sideways, touch again to let it go. Is everything clear? Then do not waste your time and start this game immediately!